﻿ Chicago Hispanic Newspaper, Lawndale News, Hispanic Bilingual Newspapers, Su Noticiero Bilingue » Want to Learn More About Women In Film? 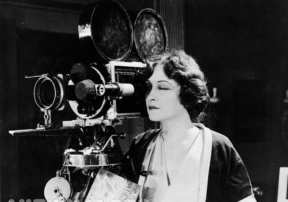 April 22, 2019 9:30 pm You are here:Home Local News Want to Learn More About Women In Film? Posted by Editor on December 24, 2015 in Local News | Comments Off on Want to Learn More About Women In Film? The public is cordially invited to Women In Film Chicago’s (WIFC) inaugural Open House from 6:30 p.m. to 8:30 p.m. on Thursday, January 14 at Conspiracy studio, 170 N. Sangamon, located in the West Loop area. “This is a great time to meet the women who are already working in Chicago’s visual arts community and to become a member of Women In Film,” says Carrie Hunter, president of Women In Film Chicago. “For 2016, we have revamped our mission and will offer more educational programming to our members and better connect them with professionals in the industry with exclusive events. Also, our goal is to offer scholarships and other assistance to female directors, screenwriters, producers, and others advancing their careers within the industry.” A 2014 study revealed the gender gap in Hollywood by citing that women directors comprised seven percent on the top 250 films. As writers, they made up 11 percent; as producers 23 percent; and five percent of cinematographers. Only the number of female editors stayed consistent at 18 percent in both test samples (via Variety). For more information about this event and the annual Focus Awards to be held January 28, visit www.WIFChicago.net or email info@wifchicago.org.